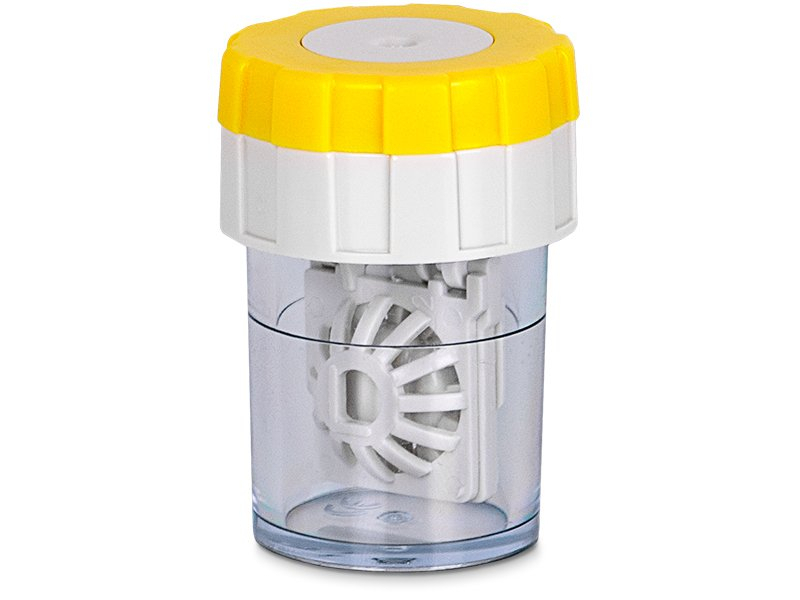 After placing your lenses into the twist-top barrel yellow lens case, turn the cap left and right several times. 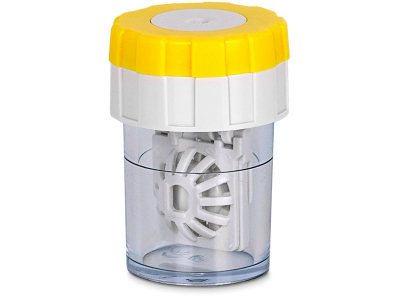 Turning the cap spins the baskets inside the case, which ensures better cleaning results. After disinfecting, refill the case with fresh solution and rinse the lenses by spinning the baskets again.